Book your stay with the “Bed and Bierfest” package from now until 10 November and receive a maximum of two complimentary entrance tickets (including two glasses of beer per room) to party with Bierfest fans from all over the world. Guests will also enjoy late check-out and other special privileges. Hong Kong’s longest-running outdoor beer festival showcases traditional German bites, an extensive selection of German beers including the famous Erdinger Weißbräu, plus all-night dancing and good times against the panoramic backdrop of Victoria Harbour. Bierfest wouldn’t be complete without traditional tunes and entertainment, and German musical group The Notenhobler band is a beloved part of Marco Polo’s festivities. Dressed in authentic Oberkrainer clothes, their hearty folk music and games such as the Alphorn-blowing contest, Chicken dance and drinking competitions, make the beer festival even more memorable. Your accommodation and Bierfest tickets can be arranged in just a few clicks at home. 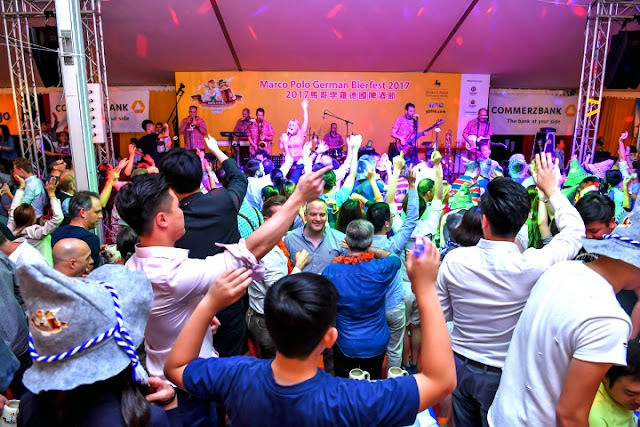 Come and join in the unforgettable experience of this fun-filled festival which recently won the Silver Award for ‘Best Event Team’ presented by The Marketing Events Awards 2018 organized by Marketing Magazine. For reservations or further information, please visit marcopolohotels.com. Situated in the heart of Tsim Sha Tsui in Kowloon, the three Marco Polo hotels in Hong Kong, namely Marco Polo Hongkong Hotel, Gateway Hotel, and Prince Hotel, form part of Harbour City– Hong Kong’s largest shopping complex with more than 450 shops featuring the world’s leading luxury brands. The three hotels comprise 1,459 well-appointed and spacious guestrooms and suites, all equipped with complimentary handy smartphone and Wi-Fi plus deluxe amenities. Every Marco Polo hotel befits the new-age traveler, whether on business or leisure, with its elegant design, impeccable service, and modern comforts. 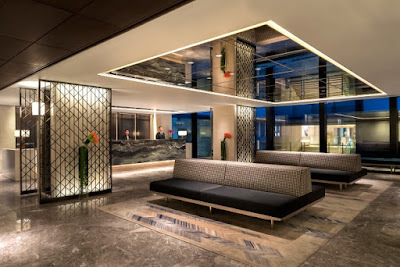 The three Marco Polo hotels in Hong Kong are part of Wharf Hotels, a wholly-owned subsidiary of The Wharf (Holdings) Ltd, a Hong Kong-listed company with core business interests in property and investments in communications and container-terminal operations. Global Hotel Alliance (GHA) is the world’s largest alliance of independent hotel brands, bringing together 32 brands with over 500 hotels in 78 countries. GHA uses a shared technology platform to drive incremental revenues and create cost savings for its member brands. GHA’s award- winning loyalty programme, DISCOVERY, provides 12 million members exclusive opportunities to immerse themselves in local cultures wherever they travel. For more information, visit discoveryloyalty.com. If you are planning to go to Hong Kong soon then why not avail of this amazing deal from Marco Polo Hotels - Hong Kong. 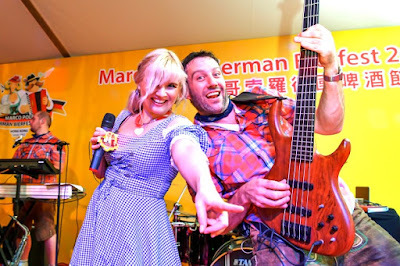 Celebrating Octoberfest in Hong Kong will definitely be memorable. What do you think guys? What your beer plans for October 2018?